Marie Knight Hallelujah What A Song! 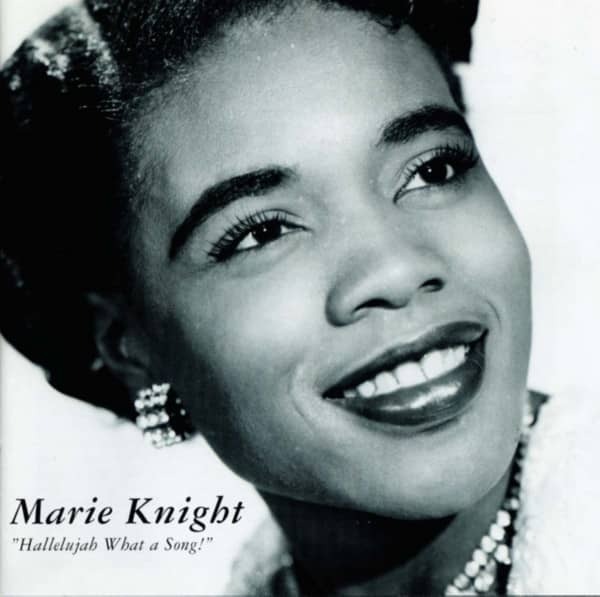 Marie Knight: Hallelujah What A Song! A magnificent contralto, combined with jazzy timing and an ability to adapt her voice in sacred as well as secular settings, enabled Marie Knight to become one of the first gospel super stars as a duo partner with Sister Rosetta Tharpe. A few classics of Knight’s and Tharpe’s recordings are included in this CD, but the majority features many of her best selling records under her own name. She is accompanied by the elite of the 1940s New York musicians, above all boogie pianist Sam Price. On a few tracks she has blues guitarist Brownie McGhee and the famous gospel quartet, the Nightingales with her. Artikeleigenschaften von Marie Knight: Hallelujah What A Song! Albumtitel: Hallelujah What A Song! Kundenbewertungen für "Hallelujah What A Song!"